Hang2Gether - Boston GreenFest - Aug. 16-18, 2019 - FREE! 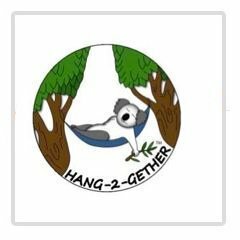 Hang2Gether was originally founded in the classroom at Binghamton University by four students, all Accounting majors, who enrolled in an elective Entrepreneurship course spring semester of 2016. To satisfy a project requirement they formed a team and participated in the Botnick Business Plan Competition, which is modeled like the popular television show 'Shark Tank'. Over the course of the semester the team developed a mission statement, created a product, designed a logo, and outlined a potential sales strategy. At the end of the semester, we presented to a committee of local business leaders and faculty at Binghamton University and won the competition. By the end of the spring semester, Hang2Gether was much more than just a project outlined on our syllabus. Hang2Gether had evolved into a company that we could cultivate and a lifelong passion we could share with the world.